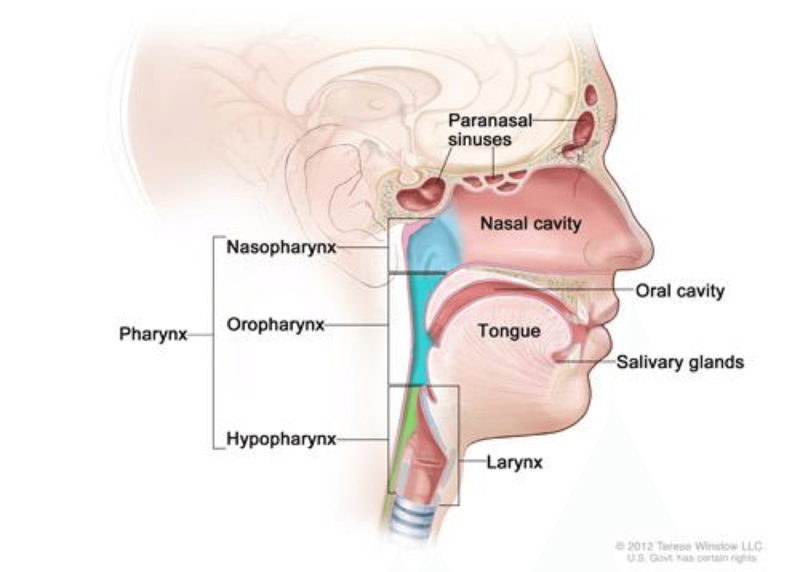 Head and neck cancers are made up of malignant tumors that develop in or around the throat, larynx, nose, sinuses, and mouth. A range of treatments exist to decrease the size of these tumors and reduce the symptoms of the cancer. Radiation Therapy has traditionally been used to effectively reduce the size of head and neck tumors. However, it cannot be narrowly targeted on just cancerous tissues and tumors, so it risks impacting healthy vital organs, glands and nerves surrounding the tumor. Proton Therapy delivers a highly targeted, extremely precise dose of radiation that can reach and treat tumors located in the tiny, narrow areas of the head and neck. Head and neck cancers occur in an area of the body where many important functions, such as speech and hearing need to be protected. Proton therapy facilitates effective cancer treatment while guarding against adverse impacts to the senses. It’s precise treatment path and laser-like accuracy protects sensitive organs and tissues that are located near the cancer site. Dr. Allan Thornton is a renowned oncologist who is considered to be one of the best cancer physicians in the world. He has more than 27 years of experience using Proton Therapy to fight a range of cancers and his expertise on complex cases is sought by hospitals and physicians around the world. Dr. Thornton conducts ongoing research and development in the field of Proton Therapy, and his work is considered to be some of the most influential in the field.